The only thing Benji lacks more than ambition is luck. And his new job has to be the lowest of the low. But something is stirring in the zero-footprint economy of New St. Louis. And Benji’s about to find himself chin deep in the muck! This story was originally published in the Hugo Award-nominated METAtropolis. CDF Lieutenant Harry Wilson has been loaned out to a CDF platoon tasked with secretly removing an unauthorized colony of humans on an alien world. Colonial Ambassador Abumwe has been ordered to participate in final negotiations with an alien race the Union hopes to make allies. Wilson and Abumwe’s missions are fated to cross - and in doing so, place both missions at risk of failure. 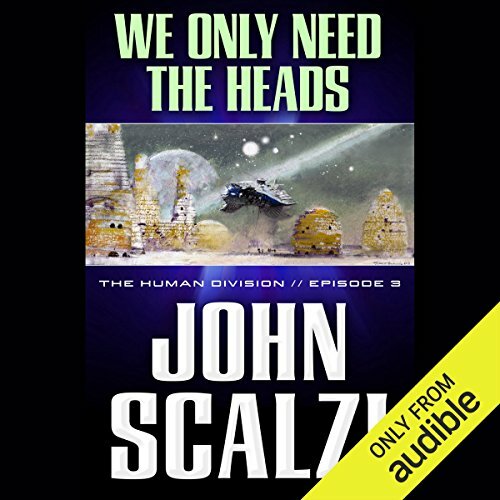 We Only Need the Heads is a tale from John Scalzi's The Human Division, a series of self-contained but interrelated short stories set in the Old Man's War universe. 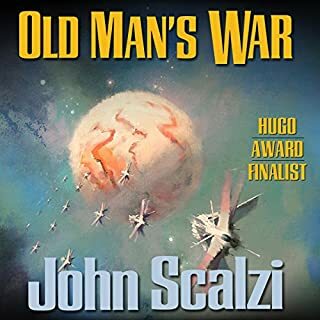 Listen to the complete edition of The Human Division, the fifth full-length book by John Scalzi in the Old Man's War universe. 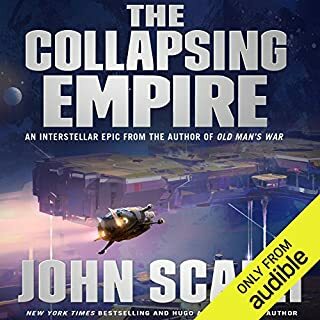 ©2012 John Scalzi (P)2013 Audible, Inc. I think I will wait until all of the episodes are available and continue then. 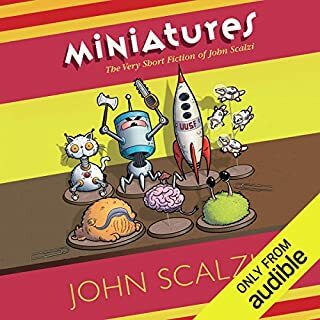 I really like John Scalzi and thought these shorts would be fun to spread out. I just could not listen to all the "saids". Wilson said, John said, Wilson said,,,, etc etc. Frustrating and takes away from what would otherwise be a great story. Yes, it's getting better, and the plot lines are starting to come out. It can't be easy writing an entire book that is made up of short stories that are interrelated, but so far, Scalzi is managing it. I do wish he would find words other than 'said' for his dialogue. Gets irritating! He does this in all his books, so I guess it won't change anytime soon. 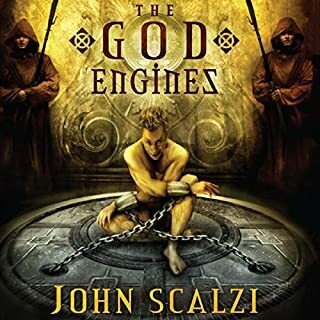 If these stories are your first introduction to Scalzi, try some of his other books to get a better idea of his writing style. I especially recommend Fuzzy Nation or Agent to the Stars. The first two "Episodes" (released together) were interesting and built a good foundation for the characters and their roles. This episode was only slightly over one hr. in length and was more of a very short story with the same characters. I was disappointed in the brevity of the story and how it ended. I'm reminded of the old hamburger chain commercial "where's the beef". This just was not on par with the authors previous work. If future "episodes" are this short and weak in story line development then I will probably discontinue purchasing them. at least this story wasn't as short as the last story. that one was just a prologue. this was a chapter. so hard to rate each episode, but this was one of the best. I liked it and want more, but still don't like the short format or pricing. I'm taking the time to grasp what I missed or misunderstood when I read the full story. Delightful! I enjoyed the series more as I went through each episode. At first I struggled because it seemed like random stories set in this universe. But as it continued and I realized it was interwoven story lines I enjoyed them more. The main characters were enjoyable. It's pretty traditional sci fi fare but still worth the read. This is Episode 3 of the Human Division series. 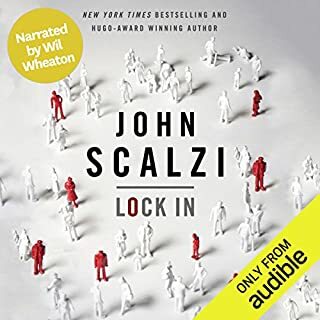 Some reviewers say each episode is a short standalone story, others say Scalzi just divided what would have been one book into multiple separate episodes. I'm not sure I agree with either viewpoint after hearing three episodes. They don't really stand alone unless you're a fan of a very short plot with a flimsy leave-you-wondering type of ending. On the other hand, they don't really seem connected enough to all be parts of one bigger book, at least not yet. 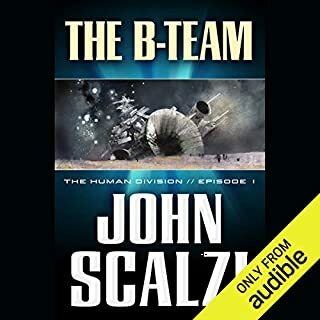 The story is better written than much of Scalzi's work I've heard so far. It lacked the irritating transcript style of "he said," "she said" which has absolutely ruined some of his other work, in my opinion. Reader did a good job, even though it was not a difficult narration to perform. The third in this series of standalone, although interconnected short stories - and it just keeps getting better. This story continues with characters who appeared in episode 1, The B Team, and, yes, also returns to the frequently used "said" mentioned in other reviews and which did not occur in episode 2. But don't let this put you off. The story is full of intrigue, strongly and humourously drawn personalities who are further given life by the excellent dialogue renderings of William Dufris.. Imaginative, dark but often funny and only 79p per episode, ignore the overuse of the word said - or treat it as i do as an extra element in the comic rendition - and go treat yourself: buy it now and enjoy. This is a great short story, in a collection of intertwined short stories. I will look for more title by this author.